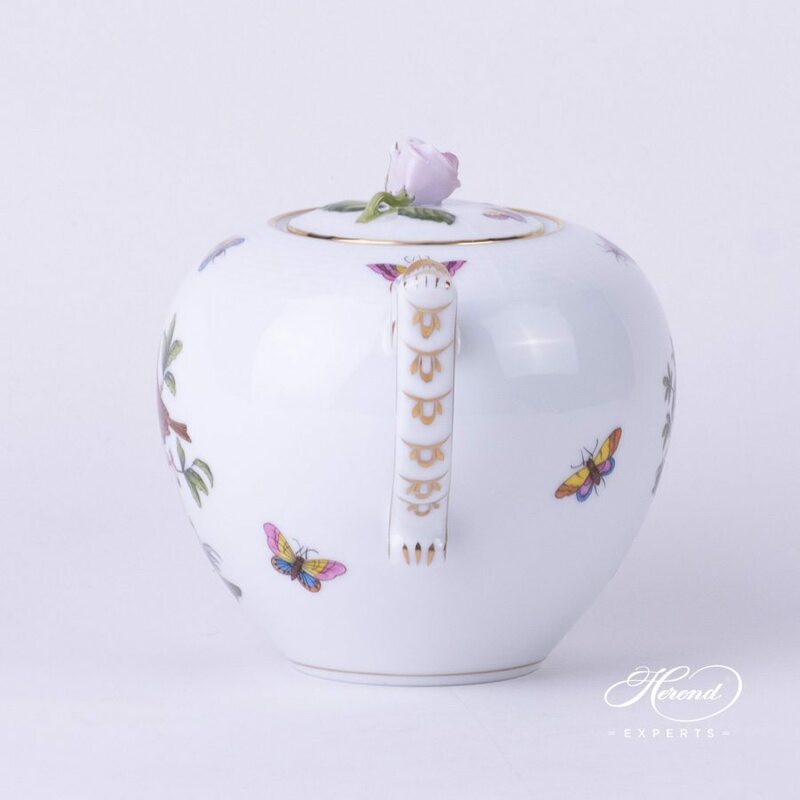 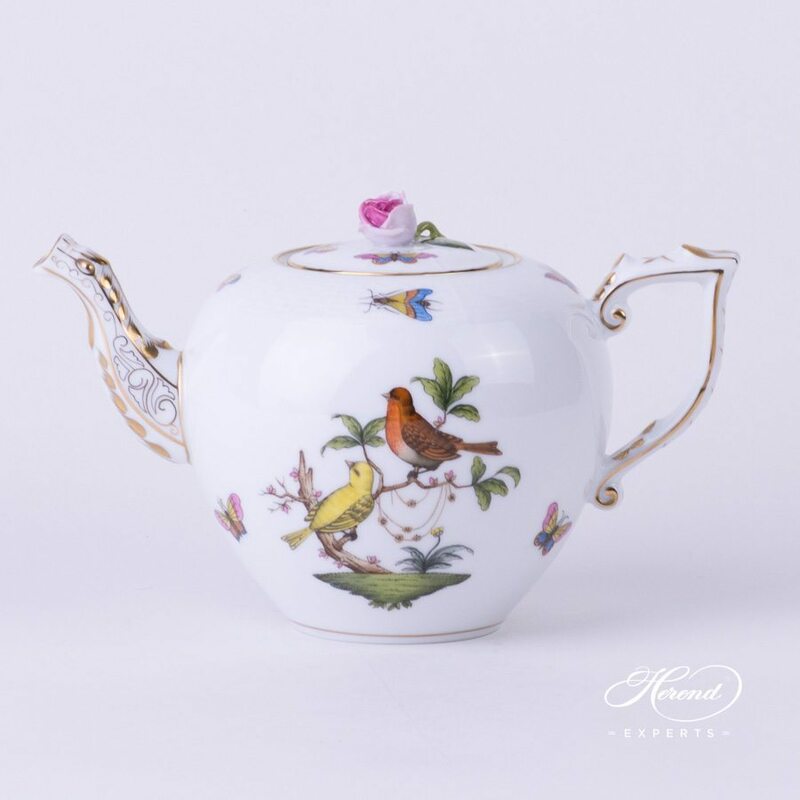 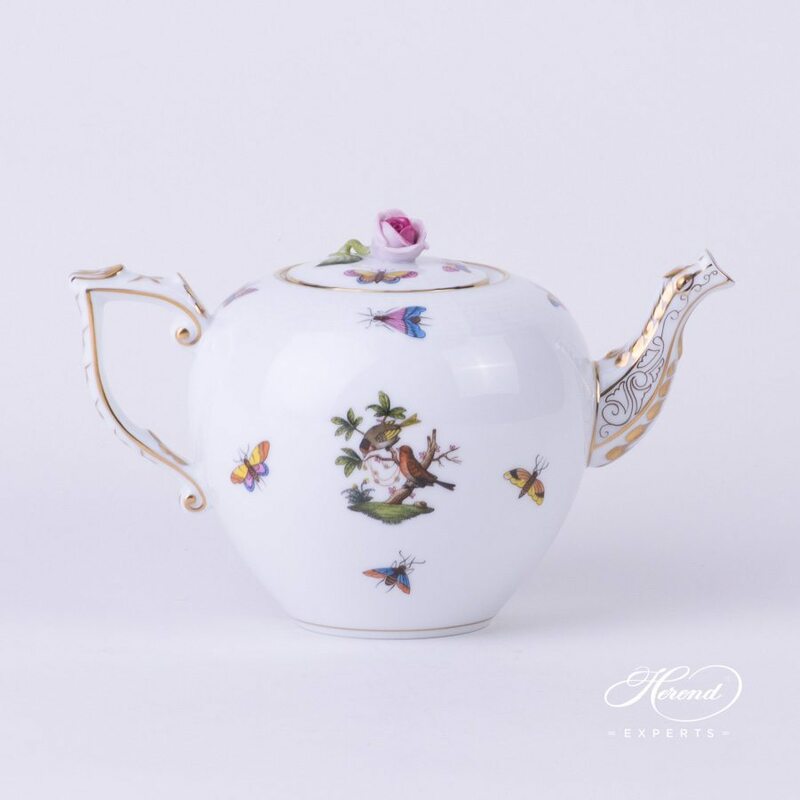 Herend porcelain Tea Pot with Rose Knob - Herend Rothschild Bird pattern. 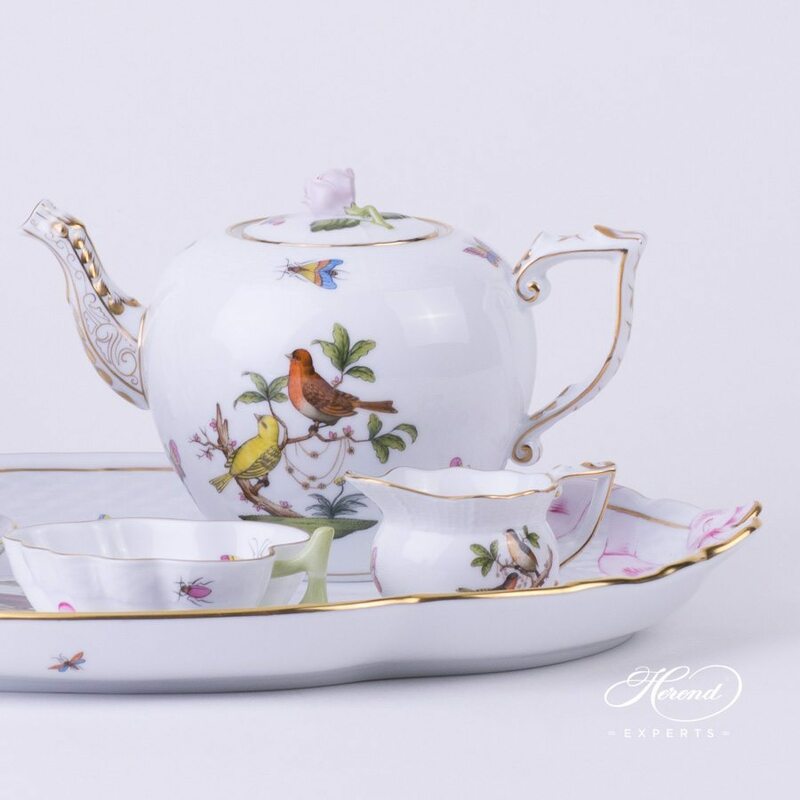 The famous Rothschild Bird RO decor is painted with 12 different Couple of Birds. 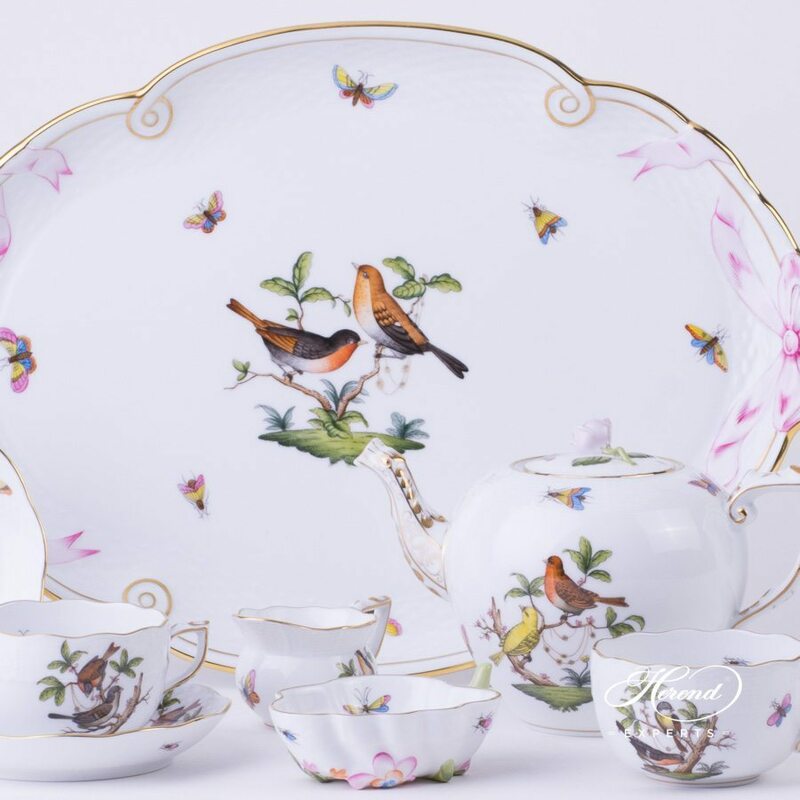 Rothschild Bird RO decor is available in Tea, Coffee, Mocha and Dinner Sets as well.